So, after our first attempt to play full scenario of Radetzky’s March, we had chance with Konrad to play again, this time reversing the positions, with me taking over command of Austrian forces, and Konrad the Piedmont. Below short after action report from our game. 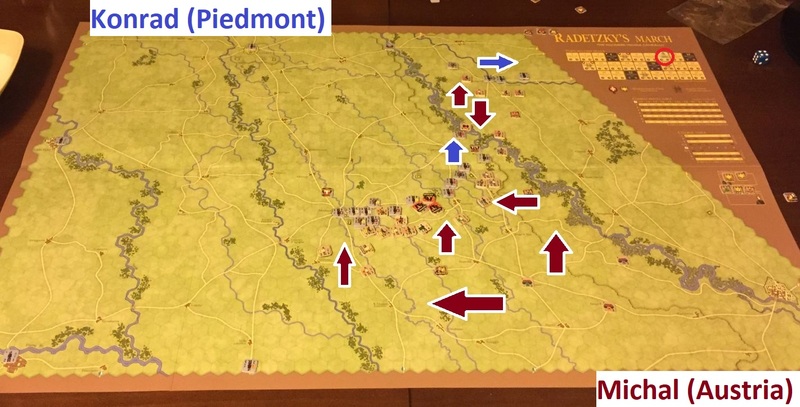 That meant that only 1st Corps was attacking North, towards Magenta, and all other forces (2nd, 3rd, 4th, 5th and Reserve) launched from Pavia west. 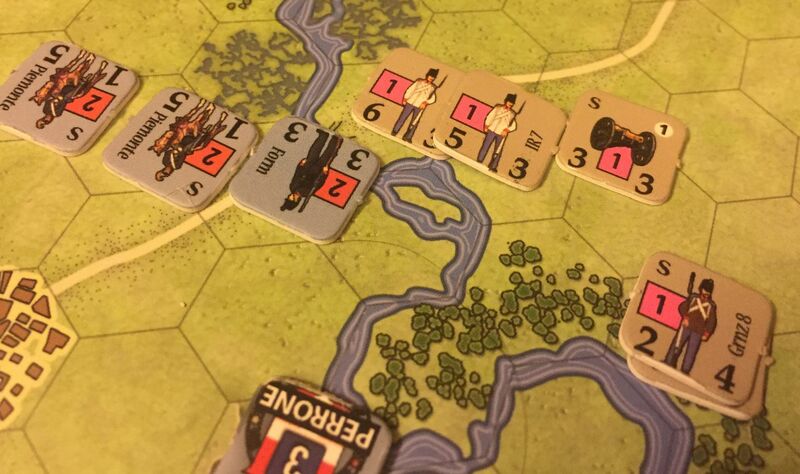 Thanks to quick reaction of Konrad it finished “only” in heavy Piedmont losses but not the breakthrough of the front. The skirmish for ford rages on. 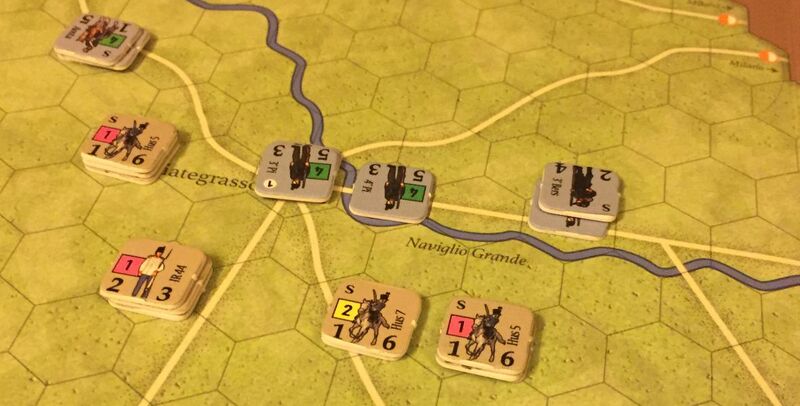 3rd Corps made a very important headway, managing to get on the hills near Vigevano. 4th Corps was engaged with elements of Piedmont Reserve Division, while Reserve and 2nd Corps were attacking Mortara. All in all, we will have to repeat the game, saving the progress this time! After second game I’m extremely curiuos how to win this game with Piemont. It seems to be impossible with so huge Austrian advantage in army strenght.